Thank you for this information, my Italian isn’t good enough to translate the article. The Pescheria should be saved, I will pass on the info re the petition. The Pescharia and the life it generated and now supports around, is one of the jewels of Venice, as good a pull for tourists as Doge’s Palace, but in addition much more important and economically vibrant place for the residents of Venice then the Palace. If anybody is interested in stopping the exodus of residents from Venice, as any Italian authority should be, stopping closure of Pescheria would right at the top of their priority list! 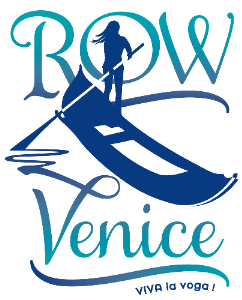 We come to Venice every year in winter, and have done for over ten years. The Rialto fish market is a huge part of the attraction for us: we love the sights and sounds, and we visit it every time; we love to eat the amazing seafood in Venice’s restaurants; and now that we take an apartment, we shop at the market ourselves every day we’re there. I can’t imagine Venice without its fish market. The proposed change is a lose/lose proposition: a 1,000 year old market area is obliterated to enable more cruise ships to barge through the Giudecca Canal and threaten the city’s structures and the health of the lagoon. Shameful–and commonplace these days, in which we live beneath the tyranny of the marketplace.